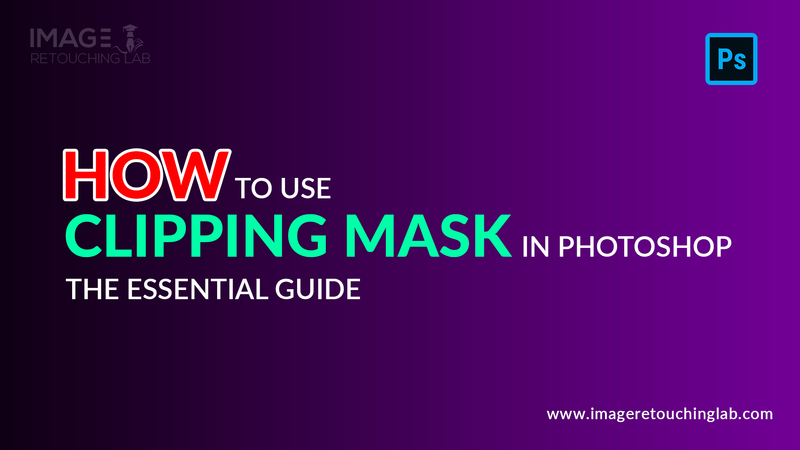 Before learning about using a clipping mask in Photoshop, you need to know what is for and why you need to use it. Well, that was a most asking question which we get every day from our beloved customers. For them and to the newbies, here is the article about clipping mask to remove your all confusions. So, what is clipping mask actually? Using a clipping mask you can use the content of a layer mask above it. This allows you to edit complex images. It helps you to merge your layers so that you can make more professional and shiny images. Step #1: First, create a new file in Photoshop. Use the rectangle tool to make a square on that newly created file. Step #2: In this step, you need to create a border on that image. You should use the rectangle tool. While using it just hold down the shift key to draw a black 980×980 px square. Choose the rectangle and background layers, and then go to Layer option, choose to Align > Vertical Centers and similarly Layer > Align > Horizontal Centers. After that put the layer inside a folder named “mask”. Step #3: Now you have to use the path selection tool to highlight the square you made and copy paste it. After copy and paste, you have to resize the duplicated path to 954×954 px. To do this, you can press Ctrl+T and drag one corner holding the Alt and shift keys. After doing so, select subtract front shape. Step #4: Now drag and drop your chosen image into the new file you had created. Remember, you need to put it over the “mask” group in the layers window. After that, right click on the on the layer and choose the option “Create Clipping Mask”. Step #5: You can add a text layer to give it extra effect and color combination. Are you finding it very difficult? No worry, we are here to provide you with the best quality clipping mask service within a short period of time. Why not check out our services and see what we have an offer for you? The Final Result : To make your photo creative and more attractive, a clipping mask is a very simple way to do that. It works well for every one of your pictures particularly web images and social media posts. This method can be used with vector, text, bitmap, group and object layers. If you are not that happy to see the final result of your work, you should have found a clipping mask in Photoshop service provider who will do that work nicely for you. Sometimes, some photos are really precious. You should not practice this with those photos. It is always recommended to hire a graphics editor or a clipping mask service provider to get that work done very well. Why not, share this article and let your friends know? You can also comment below about your photo editing problem and get solved by our expert team.